Interview questions and answers are only part of the overall preparation for the interview. The interview is the big event. All of your time spent completing job applications, submitting resumes, tailoring cover letters and responding to job advertisements have led you to this. Over the next several posts, I am blogging on information that will provide you with key steps to perform at your best and put you in the optimal position for a job offer. Step 1: Knowing the audience interviewing (as well as the company) always helps your interview questions and answers preparation. 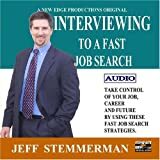 What type of interview will you be in? Will it be conducted by a panel or an individual? If it is a panel, how large a panel and what is the makeup? Are you being interviewed by the HR department or the person who will be supervising you, or maybe future colleagues? What kind of company is it? Is it privately held or publicly traded? How long have they been in business? Who is their target market? Are they the industry leader or a strong competitor? Where are their corporate headquarters located? Do your research and make notes on your discoveries. Gather annual reports, trade/industry news, review their website, investigate them on Hoovers, if possible talk to current/past employees, etc. The more you know of the company’s history, niche, competitors and business and growth plans, the more prepared you’ll be to discuss their needs and how you are the person to fit their culture and address their issues. Step 2: Anticipate and respond to their interview questions and answers. The typical interview lasts a good 60 minutes. During the first few minutes, the interviewer will usually set the tone by providing information on the company and the position. They will then refer to your resume, cover letter, portfolio, and any other information you provided, and begin asking you questions. Be prepared to engage with the standard interview questions and answers. Some of these interview questions may be uncomfortable for you. There is no excuse for showing your discomfort because you know they are coming your way. Practice your responses. Consider role playing with an objective person to help you smooth out your answers. Step 3: Prepare penetrating interview questions for your audience. If it is a panel, make sure you have enough copies of your resume, cover letter, portfolio, etc, for each person. My standard rule of thumb is to have 20 questions ready to go. During the conversation, many of your questions will get covered, so by having 20, you are bound to have a few remaining to demonstrate your interest and critical thinking skills. The questions you ask during the interview are just as significant as the answers you give. It is acceptable to have a notepad of your prepared interview questions with you. You can not possibly remember all of them; nor are not expected to. However, make certain what you bring in is not ratty or looks like a grade schooler’s homework. Remember presently yourself polished and professionally is imperative. Step 4: First impressions: Again, preparing for interview questions and answers is only part of the equation. You have a single shot at making a dynamite first impression. Your audience is obviously eager to meet with you or else they would not have scheduled the interview. Capitalize on their enthusiasm. Show up 10 minutes early. Wear appropriate clothing. If the standard is business dress, dress accordingly with polished shoes, cuff links and a power tie for men. For women, business suit or other appropriate business attire is required. For a casual environment, a button-down shirt and sport coat may be suitable for men, while slacks, skirt or dress and nice blouse will be fitting for women. Is sounds simplistic, but two things that can make or break you are not using an iron and dressing like you are going out on the town instead of out to an interview. Beware of being too casual as well as too much skin; heal height and jewelry and make-up volume. Next to your interview questions and answers how you present yourself is next in line of importance. Think f how frequently people are judged on their appearance, before they ever even open their mouths. Many coaches believe you can never overdress. I don’t agree. Dressing out of alignment to the job or your audience risks giving the wrong impression; resulting in a need to double your during the interview. In bigger cities with traditional expectations, this is less of an issue. In my community, we have a population of 400,000 and wearing a suit in a business casual environment is a quick way to get labeled “too stuffy”, which makes for a negative first impression. Aside from dress, be confident, smile, offer firm handshakes to everyone you meet (yes, that means women too), good posture and eye contact. And, of course, remember your manners. Step 5: Communicate effectively. Nonverbal communication accounts for 93% all messages (38% tone and 55% body language). Leaving less than 7% of communication being the result of the actual words we say. To truly communicate effectively, your non-verbal communication has to be in agreement with what you are saying. Nod your head during the interview questions to communicate that you follow. Maintain eye contact. Sit facing your audience. Keep your arms and hands pointed toward your audience. Smile often and show enthusiasm to win them over. Also, be mindful of your audience’s body language. Are they interested in you? Have you engaged them effectively? Specifically ask an insightful question to those you have not yet won over to connect specifically with them. Providing effective interview questions and answers requires congruence in your body language, tone, specific language. Practice if necessary. Step 6: Follow up is critical. Make sure you collect business cards from everyone in the interview as well as everyone you interacted with along the way. This includes the person scheduling the interview, the receptionist you spoke with on the phone, etc. Everyone gets a hand written thank you note. Make sure all names and titles are spelled correctly and get the notes mailed within 24 hours. In the message, add something compelling in the message to confirm your personal skills and desire for the position. In order to earn the job offer, you have to interview effectively! Although the interview questions and answers component can create some anxiety for you, the more you practice and prepare, the more confident you become and the better you perform. Good luck with preparing your interview questions and answers and happy interviewing!